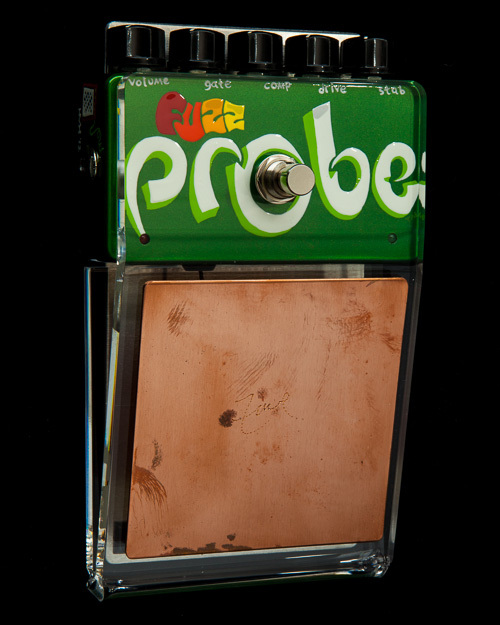 NEWEST AND LATEST v3 BUILD with the added 3 way toggle switch providing boost options for FULL, TREBLE, or MID. Now the MI Boost and Buff is more versatile than ever! MI AUDIO BOOST N BUFF v3NEWEST AND LATEST v3 BUILD with the added 3 way toggle switch providing boost options for FULL, TREBLE, or MID. Now the MI Boost and Buff is more versatile than ever! I wanted to create one pedal that would perform all of these functions. But this then led to a whole bunch of questions. – What should the input impedance of the buffer be? – Should it be variable? – Should there be input and output sensitivity controls? – Should the control for switching from flat to treble booster change the gain as well? – Instead of a switch, should there be some kind of control to morph from flat to treble? – What about dedicated low and mid controls? – Should the low and high controls be roll-off controls or shelving EQs? – If we add all this electronics in there, will it get too noisy? My initial prototypes were very complex (as you can gather from this rather disturbing insight into my thought processes). And then one day, a design of stunning simplicity and utilitarian elegance came to me. The Boost ‘n’ Buff…here it is! 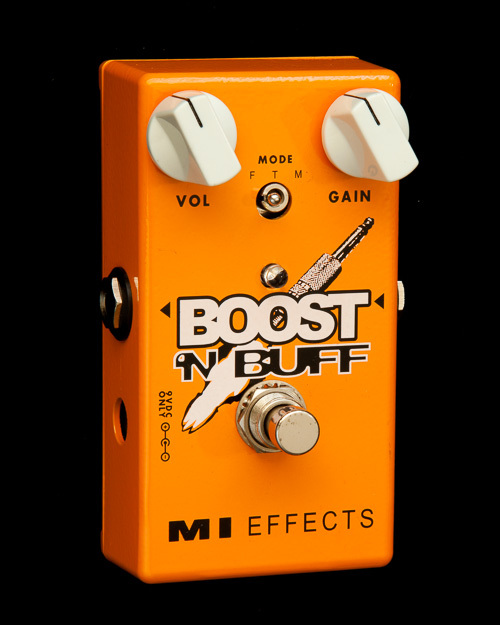 Flat Booster: In the first half of the volume sweep, the frequency response of the Boost ‘n’ Buff is flat. 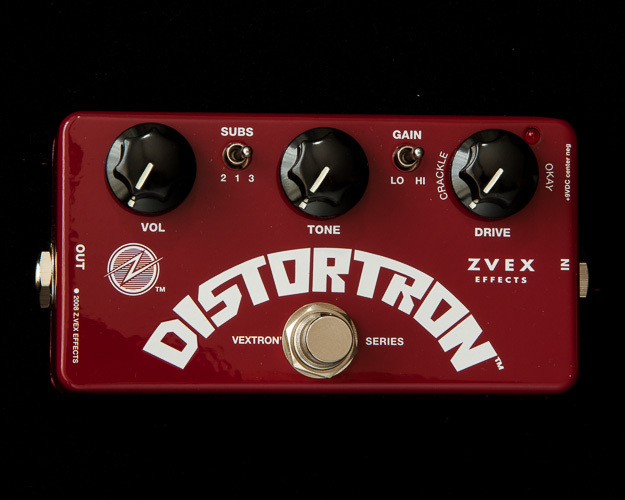 This provides you with about 15db of flat boost before the frequency response of the pedal starts to become more treble booster-like. This is perfect for solo volume boosts. The one thing to note is that if you’re going to use digital effects in your signal path, I’d suggest putting the Boost ‘n’ Buff after the digital effects to avoid overloading the A/D converters. Treble Booster: Once past the half way point, the mid and high frequencies start to climb faster than the low frequencies. At maximum gain, not only do you have an amazing amount of boost (approximately 35db), but the frequency response is perfectly tailored to driving a valve amp. It’s literally like hot-rodding your amp with an extra tube stage. Also, with the 18V headroom, your sound will be ‘cleaner’ going into the amp, so that there’s less colouring from the transistor.